WHAT: The Kickstarter campaign for We Tell Ourselves Stories In Order to Live, a documentary about Joan Didion, was only launched yesterday, but it has already exceeded its $80,000 goal and raised more than $100,000. THE VERDICT: Well done. We’ve grown a bit skeptical of crowdfunding thanks to people with plenty of clout and resources using these campaigns to shill for dough. (Ex. 1: Zach Braff raising $2 million in three days to fund his 2013 comedy Wish I Was Here. Then again, the customer is always right.) So it restores our faith in humanity to see Americans stand behind groundbreaking water balloon technologies and documentaries about iconic writers, which is hardly a tentpole genre. 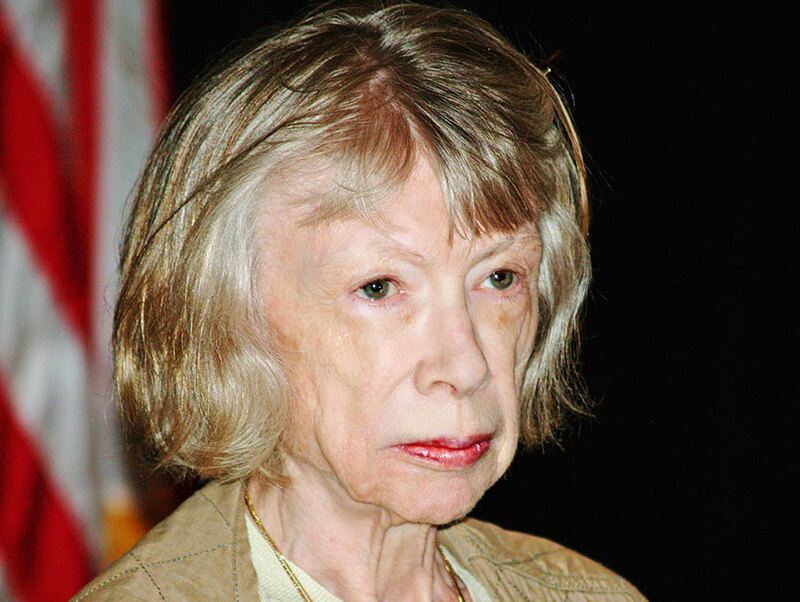 The 79-year-old Didion most recently wrote a pair of memoirs chronicling the deaths of her husband (The Year of Magical Thinking) and daughter (Blue Nights). But to us she’ll always be an Angeleno and one of the keenest observers of this city. A groundbreaking chronicler of a certain 1960s Southern California malaise, she documented Los Angeles with graceful, deceptively simple prose that sneaks up on you thanks to its intellect and insight. No one has done more with sunshine, migraines, freeways, and caftans. Didion did it with style to spare, as seen in this famous photo of the elfin writer standing in front of a 1969 Corvette Stingray at her Hollywood home. The house and its grounds, located on Franklin Avenue, are still around, and you can see them in our video Mapping L.A.’s Edgelands. (It’s also mind-boggling to think that at one time, you could afford a house and a plot of land as large as this on a writer’s salary.) In addition to writing hugely influential essays about the Manson murders, The Getty, and living in Malibu (you’ll find them in The White Album), Didion inspired scores of other writers. Her terrific essay “On Keeping a Notebook,” which can be found Slouching Towards Bethlehem, is recommended reading for all writers. We Tell Ourselves Stories is being co-directed by Didion’s nephew Griffin Dunne and Susanne Rostock, who has edited several documentaries including Incident at Oglala and Me & Stephen Hawking. In addition to unearthing archival material from Didion’s personal life and family history the filmmakers say they plan to interview Patti Smith, Vanessa Redgrave, Allison Janney, Graydon Carter, Robert Silvers, and Bret Easton Ellis, among others.